The employees at ULTRAX AEROSPACE INC. are fully committed to satisfying applicable requirements of internal and external interested parties; with a particular focus on meeting and/or exceeding customer expectations, by providing on-time delivery of quality products and superior customer service. ULTRAX employees recognize the importance of quality, reliability, and continuous process improvement to our Quality Management System. ULTRAX Aerospace believes our market expects a continually improving service. We aim to continually improve the service we provide to meet our client's requirements and produce finished work we are proud to deliver. 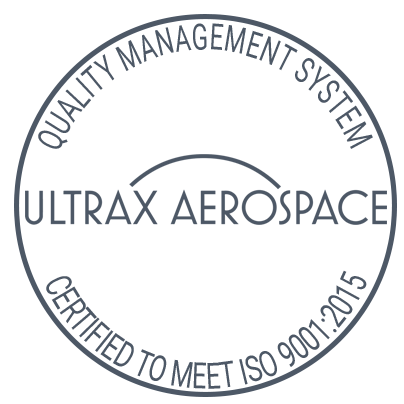 ULTRAX aims to achieve the above by implementing a management system that complies with the international standard of good practice BS EN ISO 9001. It also includes a commitment to meet the requirements of our clients, as well as legal and regulatory requirements. We are committed to a culture of continuous improvement of our system and helping to ensure it remains effective. Only by providing an outstanding service and product quality will we achieve our aims of long-term success and innovation. All personnel within the company are responsible for the quality of their work. The company provides training and has established systems to ensure personnel will achieve the standards required. While we endeavor to produce work and offer a service that we can be proud of, we acknowledge there are the rare occasions where we do not achieve our own standards. When a customer expresses dissatisfaction, we are committed to investigating the complaint and will do our best to put right every customer concern. If you need support or assistance, please call us 1-800-214-7971 or email support@ultraxinc.com.